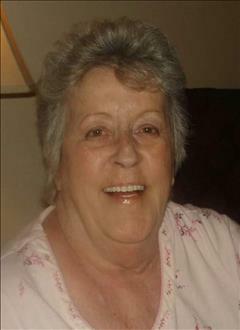 Madeline “Sammie” Steely, 76, of Pocatello passed away on March 17, 2019 at home with her family by her side. Mom was born on March 7th, 1943 in Pocatello, Idaho to the late John and Rose Hill. Mom was the 2nd oldest of 4 children. Mom spent almost all her life in Pocatello where she attended Emerson Elementary school, Irving Junior High and Pocatello High School. Mom spent her 34-year career as a Bartender/Cocktail waitress in Pocatello, where she worked at the Ginza bar, The Spaghetti Mill, The Bannock Hotel, The Grand Saloon, the Center Street Clubhouse, the Elks Lodge and finished her lengthy Career at Fitzgerald’s Casino in Reno, Nevada. During this time Mom loved to raise money by doing the U.G.L.Y (Understanding Generous Likeable You) Bartender contest where in 1989 she took first place with 6,972 votes and raised just shy of $2k for the National Multiple Sclerosis Society. Mom decided that is was time to move onto something new where she became the assistant at Dude’s Floor Covering. This wasn't quite fulfilling to Mom, so she decided to go back into Bartending at the Elks Lodge. Thank goodness, she did, as this is where she met the Love of her Life Charles “Chuck” Steely. On November 23, 1994 Mom and Chuck were married. Mom raised her 5 children Kerri, Jerry (Todd), Angela, Laurie and Jennifer. Throughout her life, Mom enjoyed hunting, fishing, (her dad was her favorite hunting and fishing partner) camping with her family and later in life she took up took up golf and playing Pan (card game). Grandpa and Mom traveled during the winter months to California and Arizona. They really enjoyed their retirement life together where they would play Pan at the Elks Lodge, and golf weekly together and with friends. Mom is preceded in death by her One and only Son Jerry “Todd” Peterson, her Parents John and Rose Hill, 2 step son’s Greg Steely and Ron Steely, Son in Law Bobby Faulkner, 3 great grandchildren Tryce and Gabriel Medrano, and Tandyn Kinney. She is Survived by her Soul Mate, and Love of her Life Charles “Chuck” Steely, her children Kerri Snell of Pocatello, Angela Faulkner of Pocatello, Laurie Fuger (Freddie Deluna) of Chubbuck, and Jennifer Lott (Gene Burkett) of Kuna, Kim Steely (Lanita) of Montpelier. Also surviving are her Sister Linda Panter of Carson City, NV, John (Linda) Hill of Idaho Falls, Cindy (Larry) England of American Falls, 10 Grandchildren and 15 Great Grandchildren, as well as numerous nieces and nephews. There will be a celebration of life being held at Cornelison Funeral Home located at 431 N. 15th Ave, Pocatello on Saturday the 30th of March 2019 at 2pm and we will be having a gather to continue the celebration at the Elks Lodge at 410 S. Main St Pocatello. We ask everyone to join us it this wonderful celebration of our Mother and please remember this is a “Celebration”, Mom wants everyone to be Smiling and Laughing like she always did.